Crown Executive Cars is a family run business. Founded in 1993, we are specialists in executive travel services. Whether you’re looking for an executive cab for business travel or private hire we have luxury car fleet to suit your requirements. We operate out of Northampton, but are well known for providing executive cab services to a large surrounding area including Kettering, Milton Keynes, Bedford, Coventry and Rugby. We have developed a refined and distinctive service, and understand what is important to our corporate and private customers. 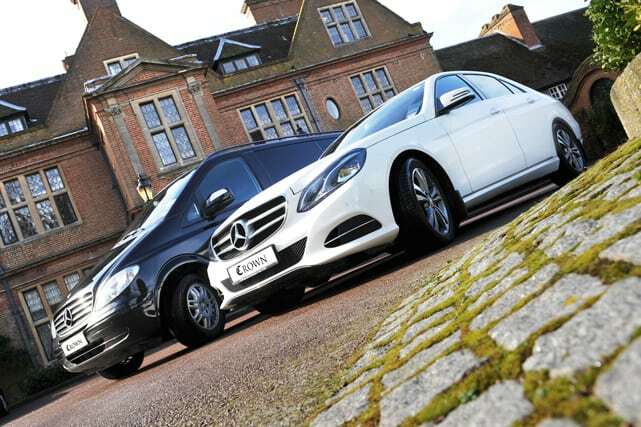 We have 30 experienced drivers available to provide airport transfers or executive cabs utilising our fleet of 20 immaculately presented and chauffeured Mercedes-Benz vehicles. Our fully trained drivers are smartly dressed in formal attire and provide a professional and courteous executive cab service. All our drivers are licensed through the local authority and are subject to regular medical and criminal record bureau checks. Many of our chauffeurs are semi-retired business professionals themselves and therefore fully understand the needs of the chauffeured business traveller. To support our professional drivers, the office staff at Crown provide first class customer service. Office hours are 09:15 – 16:30 Monday to Friday, plus an answer phone service and an emergency ‘out of hours’ customer contact line.